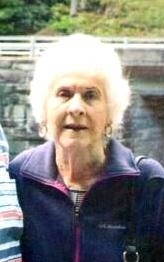 June Pauline Mardis Jenkins, age 89. Resident of Taylor Mill, KY. Passed to her eternal home on January 26, 2019 at the Providence Pavillion, Covington, KY. She was a Homemaker., a Christian Mother, Member of First Church of God, Latonia, KY, church's Sunday School Teacher, and Women of the Church of God. Preceded in death by her: son, Dana Keith Jenkins; parents Robert and Della Curtis Mardis; brothers Rudy and John Mardis; sisters-Alvina Bush and Joan Saylor. She is survived by her: husband-Donald W. Jenkins (married 8-19-1949): sons Rickie (Vicki) Jenkins, Jeffrey (Theresa) Jenkins; 10 grandchildren and 11-great grandchildren: VISITATION 4:00 pm until 8:00pm Wednesday, January 30th Allison & Rose Funeral Home, 5645 Taylor Mill Road, Taylor Mill, KY. SERVICES 11:00 AM Thursday, January 31st First Church of God, 524 West Southern Avenue, Latonia, KY. INTERMENT Floral Hills Memorial Gardens, Taylor Mill, KY. MEMORIALS, if desired, may be directed to the Gideon's of Northern Kentucky, 24 Commonwealth Avenue, Erlanger, KY 41018.